This vegetable pasta recipe is hearty and delicious! It is perfect for your holiday party because you can make it to your liking. Like spice? Then this can be made spicy. If not, they can be left out. The best part is, this vegetable pasta recipe is very simple and easy to make and sure to leave your guests feeling full! To make this pasta, place a large pot of lightly salted water over high heat, and bring to a boil. 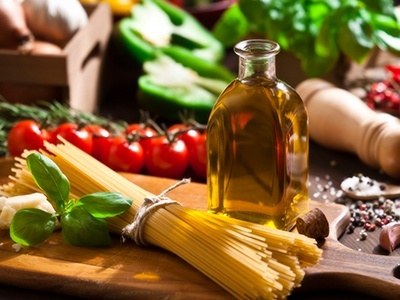 Add one tablespoon of oil to the water to ensure the pasta does not stick together. Add pasta into boiling water and let cook for ten minutes, stirring occasionally until the pasta is nearly al dente. Meanwhile heat 2 tablespoons of oil in a frying pan. Add ginger and garlic then stir for about a minute. Next add the chopped onions and cook them with the ginger and garlic for 2-3 minutes. Then add the tomato puree to the vegetables and cook for 3-4 minutes. Add chopped green pepper, chopped carrot, and boiled sweet corn. Mix it well. Finally add your red pepper, salt, and brown sugar and mix. Add tomato ketchup to the mixture. After adding all the ingredients, add pasta and toss to coat. Sprinkle with oregano and basil. Cook it for two to three minutes on medium heat. When done garnish with cilantro and serve. You can also add other vegetables or substitute any of the given vegetables with your favorites.